Authors, do you have a new release coming up in the next 12 months and want to make sure you have marketing in the bag? This special is for you! BookRhythm has come up with an affordable starter package that will give you plenty of time in front of those all important readers and book loving fans. Best of all you can use it any time in the next 12 months, yes that’s what we said any time in the next 12 months. Have more than one release? Feel free to purchase more than one package, there is no limit. See below for more details and how to get involved. **** Don’t have a new release? 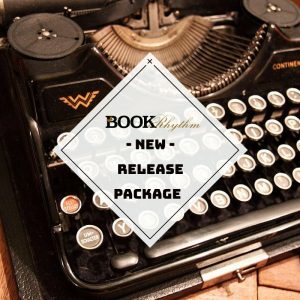 No problem, use this package to boost an older title, relaunch a book or just give yourself a boost. NEED MORE? We have a host of optional extras that you can add in, just book your package above and email us for more details on these. When is your next release due? If you are having problems with the Paypal link, please make sure you have pop ups enabled. If you still have issues email us at muse@bookrhythm.com and we will arrange an invoice for you. Should you need us to consider anything else, send us an email with your questions we will be happy to help. It’s all about the numbers and this video will give you the plan to increase your marketing and have FaceBook promote you for FREE!! The entire “2018 Marketing Plan” page has a list of all the topics already discussed. Authors, we know how important it is for you to build relationships with fans. So here at BookRhythm our “Meet the Author” events do just that. After much research, we have found that authors should be holding this type of event TWICE a year to make sure they are capturing all of your new fans that you have gained through other events and conferences. Here’s what we are doing to HELP you make the most of this service. For a limited time, we are offering YOU the chance to BUY ONE EVENT AND GET ONE AT 50% OFF!!! These can be used anytime within the next 12 months (Lead up time required). Don’t let the opportunity to make those Fan Connections that could help bring your next release to a National Best Seller. A one hour Facebook event hosted on a BookRhythm and specially built with the goal of bringing authors new and existing to get to know YOU better. BookRhythm will moderate, run and coordinate your 1 hr party. BookRhythm will select any prize winners and collect winners information for you. Fans from our BookRhythm page and the hundreds from other cross-promoted pages are invited to learn all about you and your book(s) and ask you questions. All of your social links and any promotional ads will be listed in the event page. Questions for this event normally range from “how did you become an author?” to “What is your favorite character?”. Save $20 and purchase your “Meet the Author” Events TODAY before this sale runs out! Since it appears I can no longer shop alone, I’m bringing my favorite “FINDS” to YOU! !